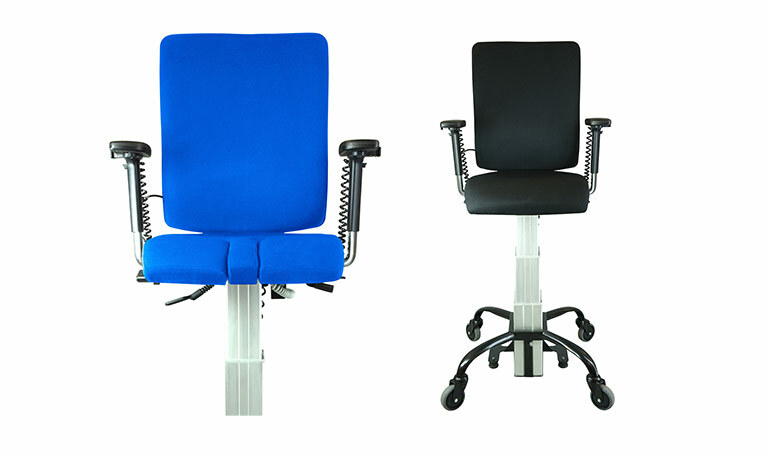 Sitability exclusively produces the eLift400‑R and the eMove5‑LCRS the UK’s only powered chairs with upholstery and adjustments based on ergonomic office seating. 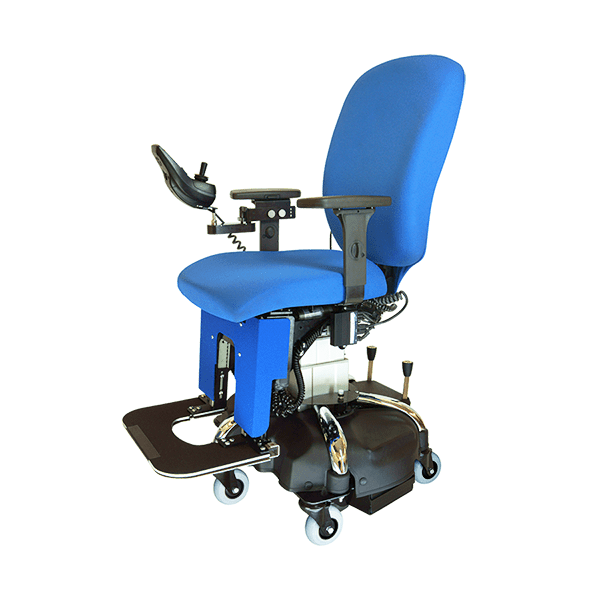 The elift400‑R is a powered lift office chair with powered movement brake and integral seat rotation to aid sitting and standing. Drop front seat panels are an option to further assist those with severe muscle weakness. Two extensive seat height ranges are available. 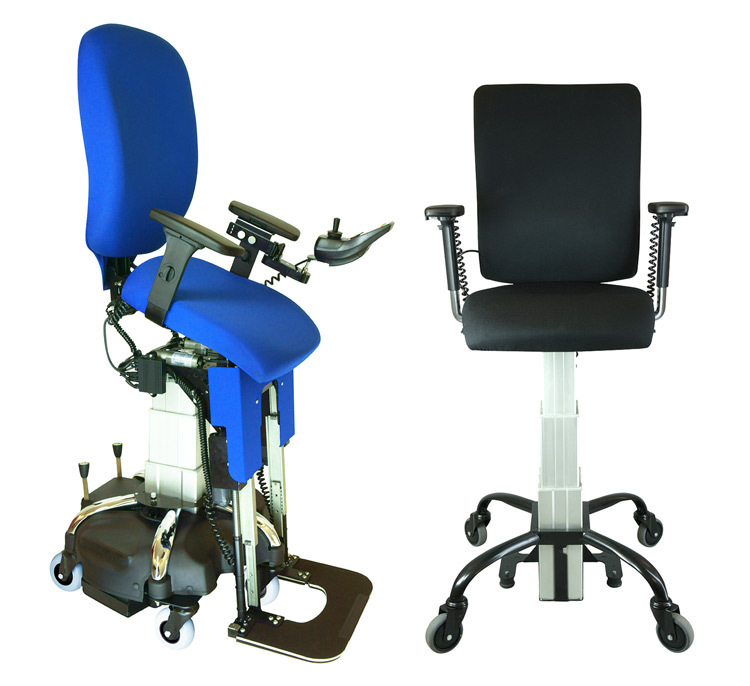 The eMove5‑LCRS is a motorised office chair. 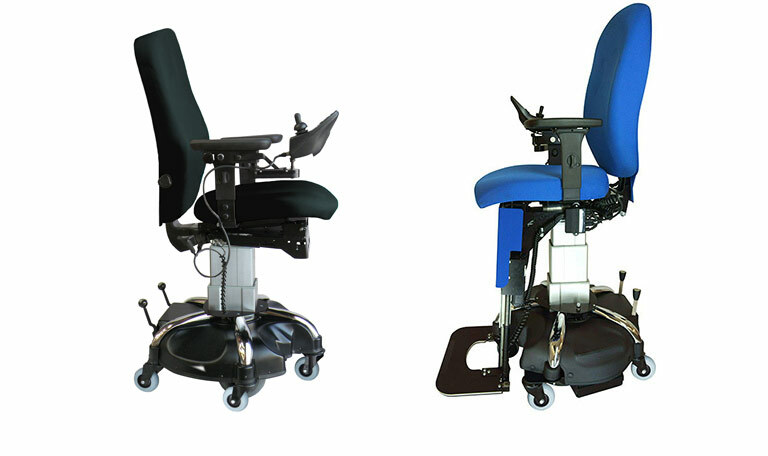 Powered drive and seat height are standard with the option of having the other mechanical adjustments motorised. 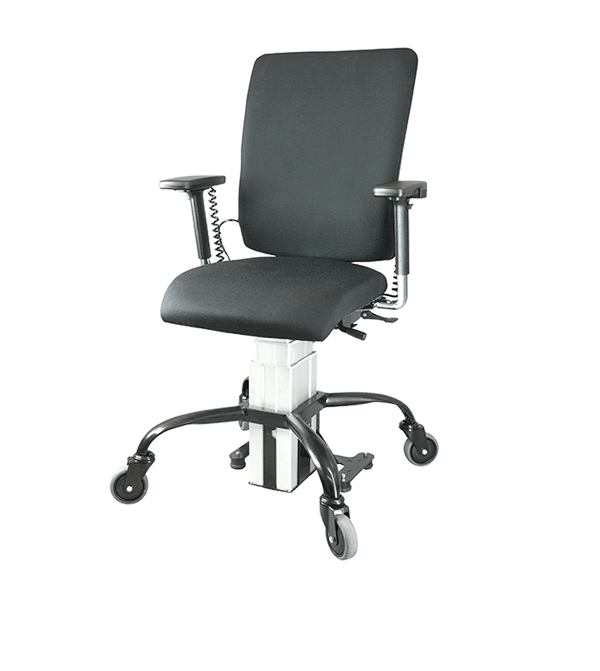 Its slimline design,compact base,seat rotation and ability to rotate on its own axis all make this chair highly manoeuvrable. Ideal for use in restricted spaces without major modification to the layout. To give you the best possible fit we offer free on-site seating assessments. We take into consideration your body measurements and clinical details then discuss the various options available and advise on chair use and adjustment.